Digital is the primary driver of growth for most B2B and B2C businesses, but choosing the right technology to support that growth is only half the battle. The other half is choosing the right partner, a strategic ally that will be by your side through every stage of your journey, from day 1 to day 90 and beyond, helping you kickstart and optimize growth for years to come. It’s too important a decision to leave to chance, and we know that you have questions. What can you expect as a Salesforce customer? That’s why Salesforce created Commerce Growth from Day 1 and Beyond. 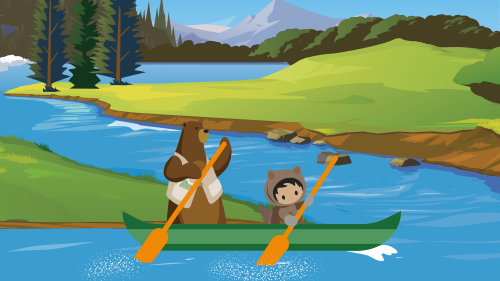 This guide will show you exactly what you can expect from your partnership with Salesforce, including how you will hit the ground running from day one and crucial growth milestones we will achieve together. 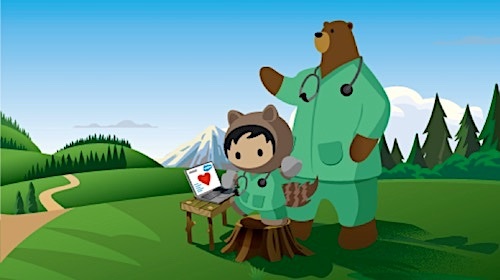 Read on for our tried-and-true steps and uncover all the places you’ll grow — with Salesforce. First, in the pre-launch phase, you’ll connect with a dedicated team of success managers who, as the name attests, are focused on one thing - your success. They help as much and as often as you need them to and will collaborate with you on goal setting, and a framework for what’s ahead. 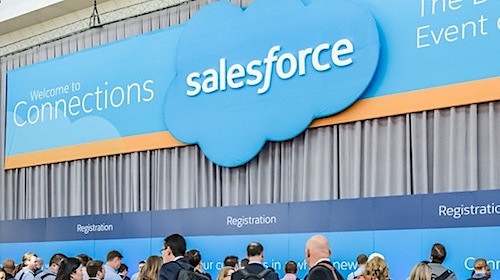 You’ll also gain access to our extensive partner network, success specialists for consulting services, our self-service community portal where hundreds of your peers gather to share knowledge, and Trailhead unique and fun way to learn all about Salesforce technology. Prelaunch is also when we conduct our Site Readiness Assessment, which will determine your structured approach for implementation. We know that many brands are not technology experts — and you don’t have to be. That’s why we run a Launch Readiness Bootcamp before launch, which is focused on Commerce Cloud functionality and core site-specific customizations. All the while, we have you covered with security and compliance so you can stay focused on the technical and functional aspects of your site. Benchmarks are set and results are monitored to ensure you’re hitting revenue targets. We make sure that your site speed post-launch has improved and that your site is fully optimized for mobile. And personalization begins with the activation of Commerce Cloud Einstein, which captures data to power personalized product recommendations and much more (more on this later). Our partnership brings another level of functionality that will help you achieve your goals both on and off your owned channels as well. Open Commerce APIs give developers the ability to transform social platforms into an extension of your site and enable a presence on the most popular messaging apps including Facebook Messenger, WeChat, and WhatsApp. Commerce Cloud is also fully integrated with Facebook’s dynamic ads program so you can serve up personalized ads across platforms with a deeper understanding of your customers. 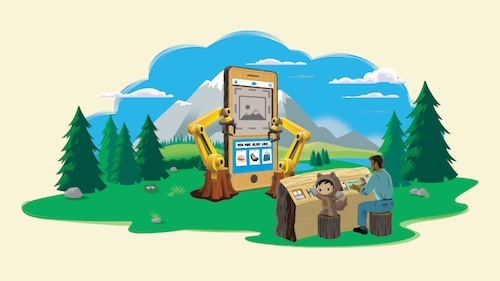 According to Christine Rose, Chief Information Officer, “A mere six weeks after going live, the Commerce Cloud team was already helping us optimize the site by implementing best practices on search, product detail pages, and checkout.” If you turned on Einstein, shoppers will already get personalized, data-driven product recommendations, but that’s only the beginning of personalized shopping. You’ll be able to automatically tailor merchandising to individual customers with personalized search/category pages using Einstein Predictive Sort, automate manual tasks, and more. Plus Einstein Search Dictionaries can help build a better in-site search — all to guarantee more relevant search results for every customer and ultimately, more revenue. Ninety days into our partnership and it’s time to assess and optimize. Here’s an example of what our customers have achieved: 35% increased revenue, a 5% lift in average order value, and a 33% reduction in time to market to name a few metrics. Not hitting those growth numbers? Let’s take a deep dive to see where we can tweak and optimize your site. Our goal by this point is to pivot toward innovation and new growth, such as building an even more efficient customer journey by leveraging Salesforce Marketing and Service Clouds, expanding into new markets, and extending commerce into social channels and online communities. A quarterly business review with your success manager will serve as the foundation for short- and long-term planning. Day 150: Optimize. Innovate. Grow. Repeat. Salesforce supports your continued growth and optimization well beyond the initial replatforming. We’ll guide you to enhance the customer experience, extend B2C capabilities, and even expand B2B shopping experiences, depending on your goals. We’ll continue to celebrate huge milestones together and support anything you dream up, whether that’s scaling for growth, global expansion, or achieving unified commerce for your business. In fact, our partnership is just as strong as the day you signed the contract. See what else to expect at each milestone with Salesforce. Get Commerce Growth from Day 1 and Beyond now.